The mid-1950s marked the beginning of the Crimean Tatars’ non-violent struggle for reinstating their people’s rights and returning to their homeland. 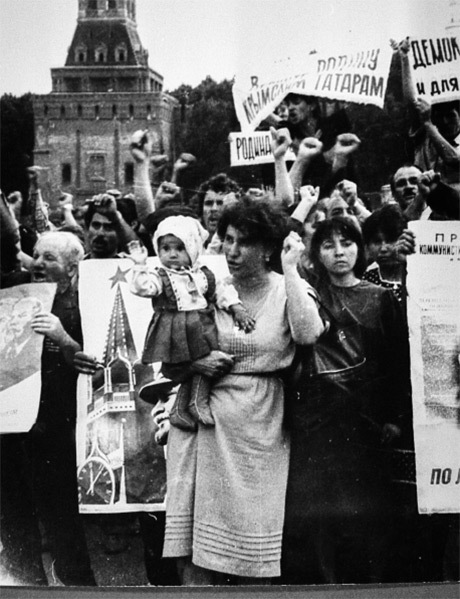 In the mid-1960s, initiative groups were already active in all the Central Asian and Russian communities. 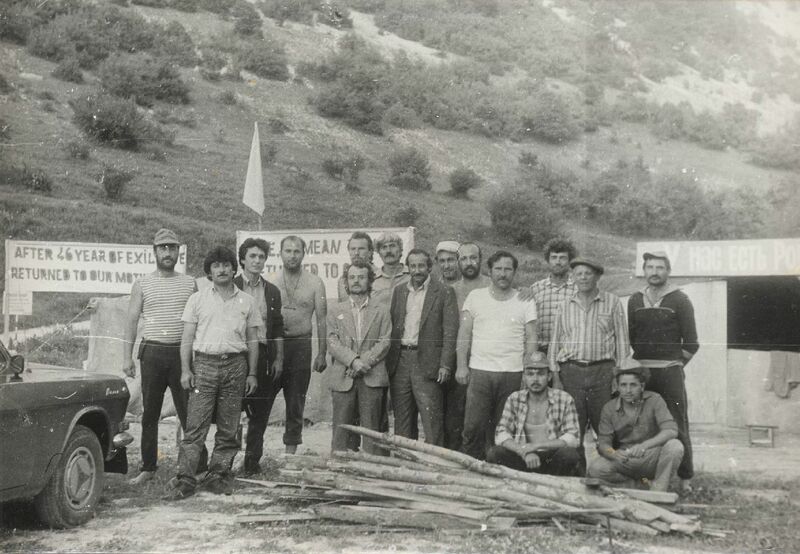 Crimean Tatar activists celebrating return to Crimea in 1990. 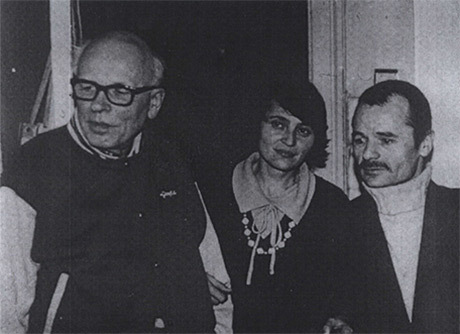 Photo: Personal archive of Mustafa Dzhemilev. Regional centres took shape in the large cities. Activists held mass demonstrations, defended Crimean Tatars in political trials, and published underground literature. 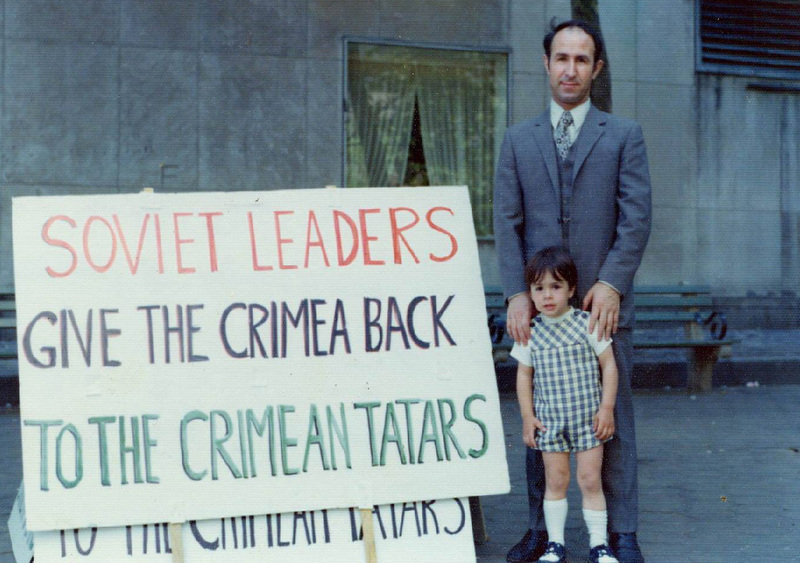 In 1967, the Crimean Tatars were officially amnestied but denied permission to return home. 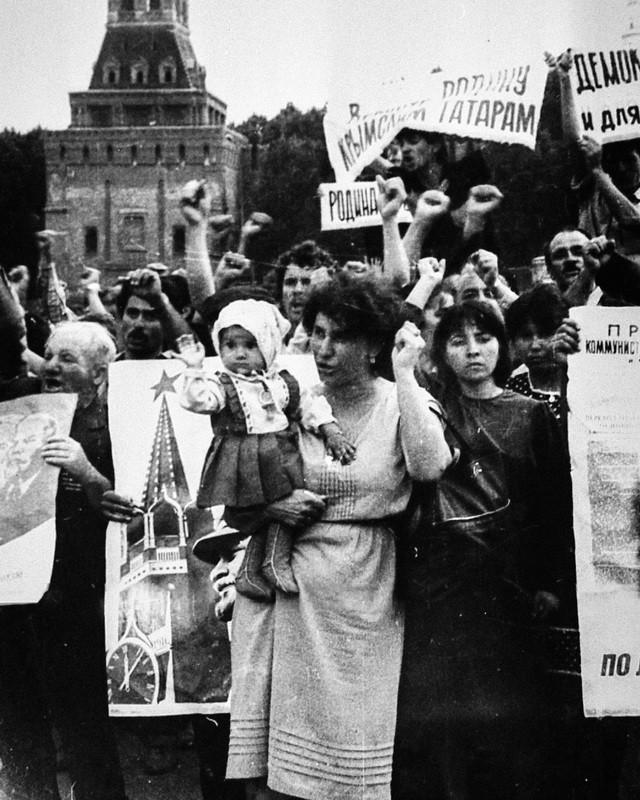 It was not until the late 1980s that mass repatriation to Crimea took place. By 1996, about 240,000 people had returned to their homeland. 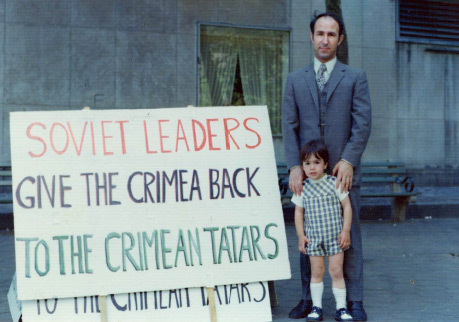 Crimean Tatar international advocacy during the Soviet period. 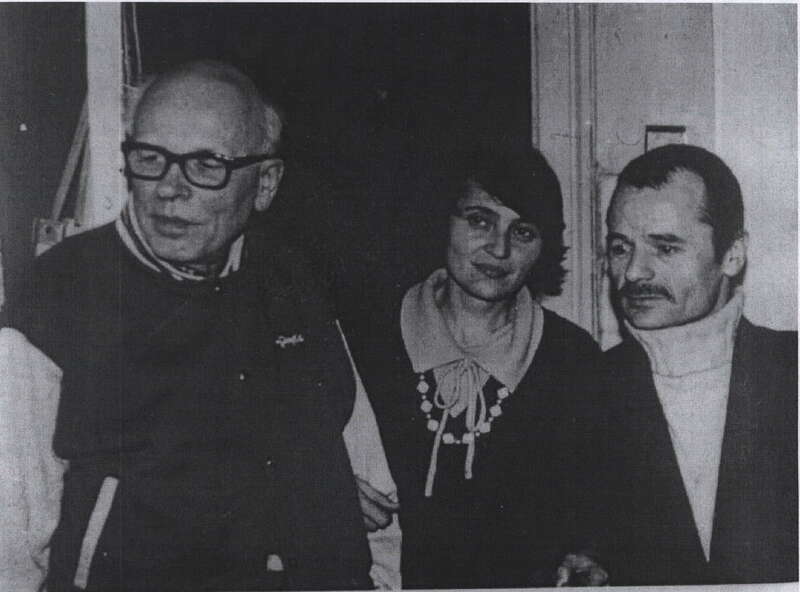 Photo: Personal archive of Mustafa Dzhemilev.